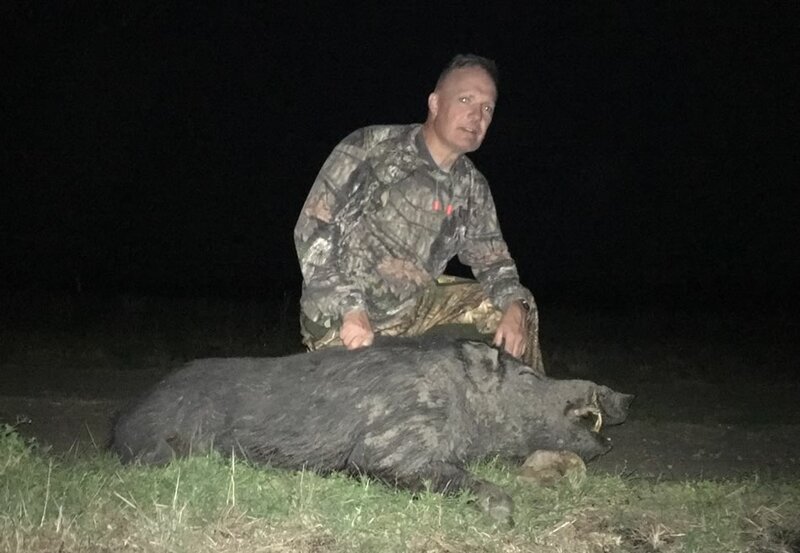 Texas Grizzly is a wild boar hunting guide service, owned and operated by Dan Moody, located in south Texas that uses specially trained dogs to locate and hold wild boars. 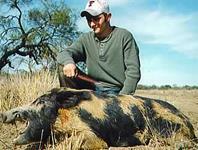 Once the boar is 'bayed' and 'caught'; the hunter moves in to make the kill. This type of hunting has been around for decades and is very popular in the South as well has many other countries. Our hunts are safe and the kill is quick. Take a moment to browse through our website, watch a video or two and learn how to experience the hunt of a lifetime. Serious Trophy Boars Only. 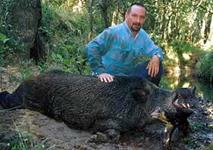 On this hunt you will be guaranteed a wild boar that you can brag about. 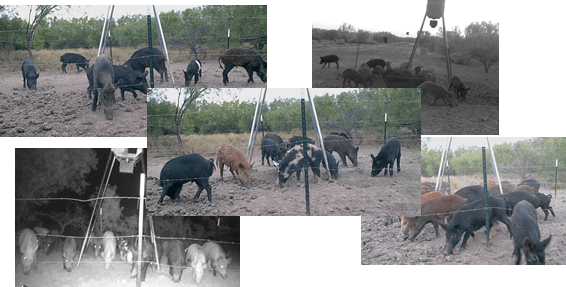 Boars weighing up to 300 pounds with 2" to 3" tusks. Now that's some serious excitement. Normally we can bag your trophy in one day, but a second day is reserved just in case it's needed. We will supply transportation during the hunt, field dressing, quartering and trophy cuts per request. I will use the best chase and catch dogs to capture this bad boy, so get ready for some serious action. If you have any questions, send an email Dan Moody at dan@texasgrizzly.com or call me at 361-645-4695. 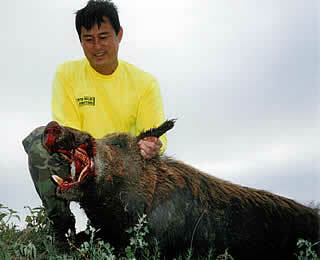 If you're interested in hunting wild boars; you're come to the right place. 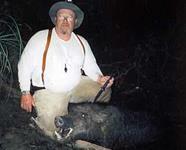 For Prices and Packages on Trophy Wild Hog Hunts - Please Click here. Extended because of popularity- $750.00 per person, you get a 2 day meat hog hunt, guides and room and board. 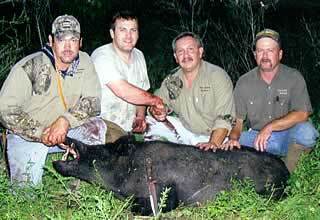 3 hog limit per person. Need at least 2 but no more then 6 hunters. You can use Dan's dogs or your own dogs. 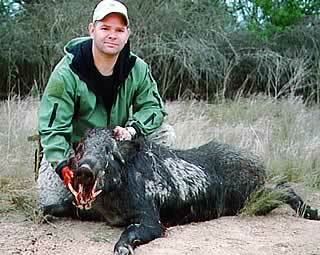 Bow or gun hunters can hunt in blinds or stalk. 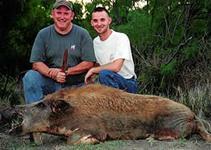 $1050.00 per person, you get a 3 day meat hog hunt, guides and room and board. 4 hog limit per person. Need at least 2 but no more then 6 hunters. You can use Dan's dogs or your own dogs. 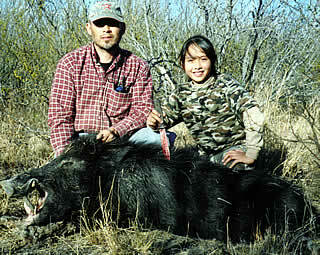 Bow or gun hunters can hunt in blinds or stalk.